Don Mellor has been climbing New York's Adirondack mountains for over 35 years. He is the authority on climbing, he teaches and has written an extensive guide book. Mellor climbs year round and says ice climbing is completely different from regular rock climbing, which is more like gymnastics. 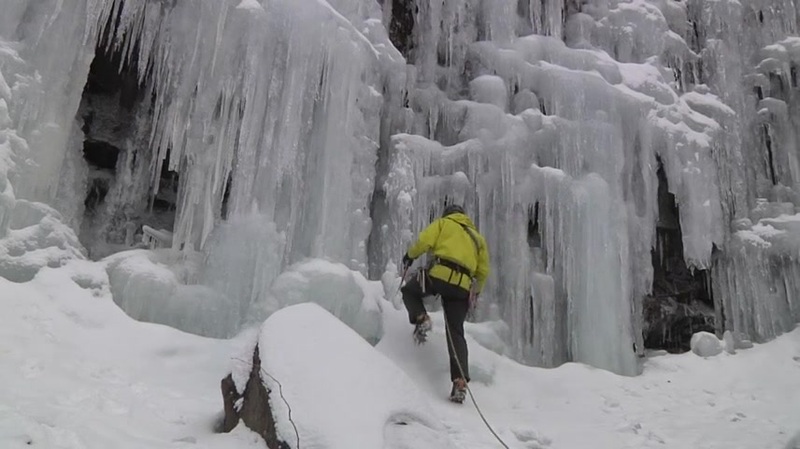 He says ice climbing is a lot tougher. He got his start in the adventure sport when ice climbing was so niche you had to make your own tools. Check out the photos of Mellor's ice climbing expertise above.